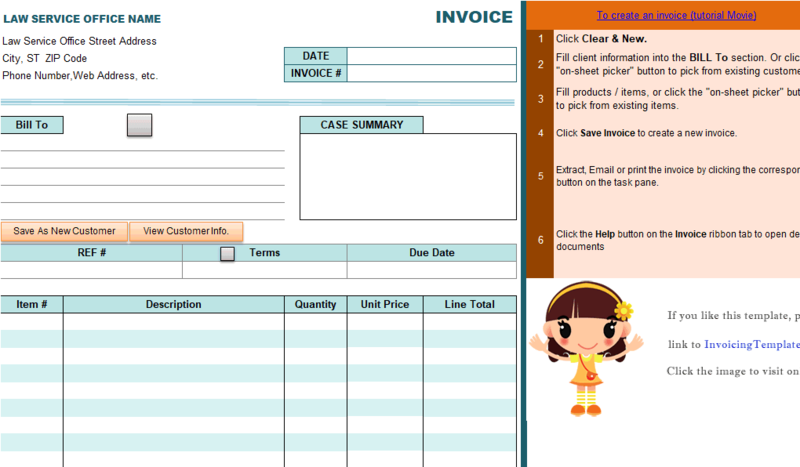 This legal service invoice template shows an image of an experienced lawyer on the bottom of the sheet. 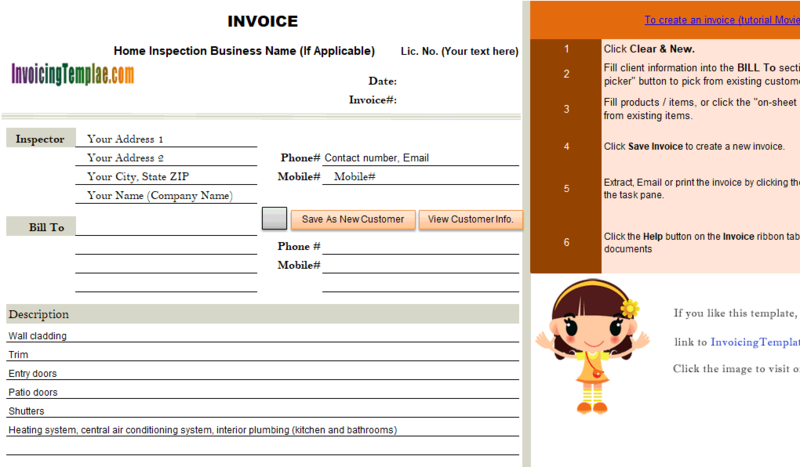 It has a "Payment Detail" section for progress payments. 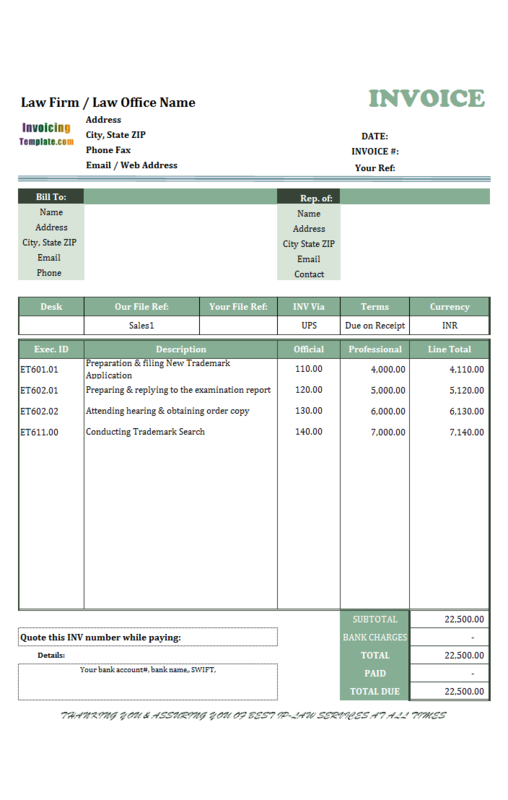 c5136 now includes the customized invoice template for the latest version of Invoice Manager for Excel. This is what you will see when you open legal-service.xlsx. 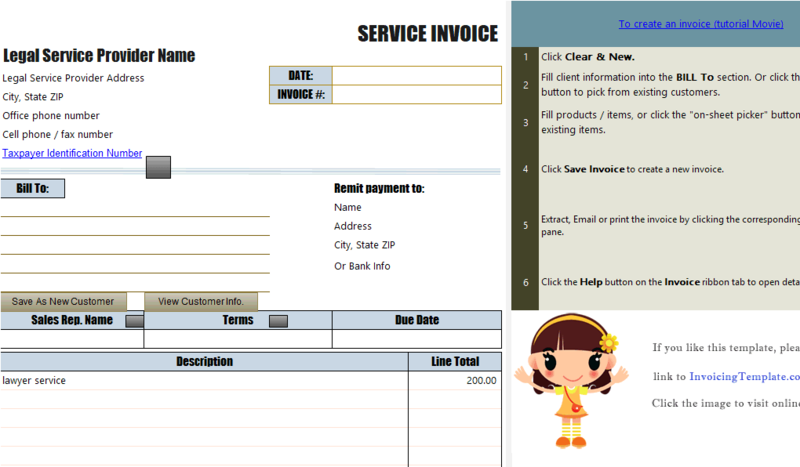 This template is a direct successor of c5045 Payment Receipt Template. 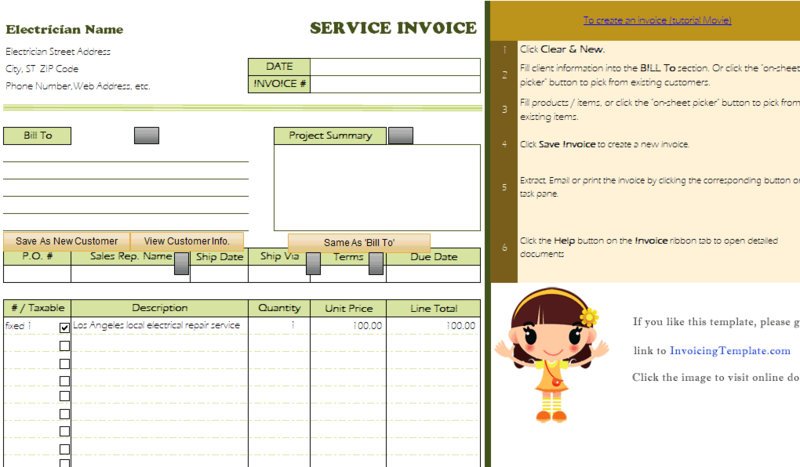 Since this is an invoice template designed for advocates, the big title of "RECEIPT" was changed "INVOICE". 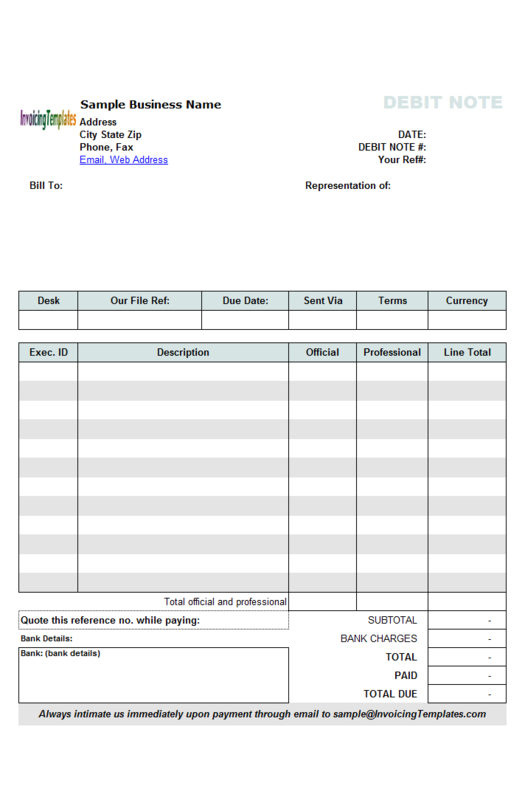 The "Notes" field in the original design was also moved to the location next to the "Bill To" part, and now it has a new title "Case Summary". The "oknOrderID" field now has a new title "REF#". 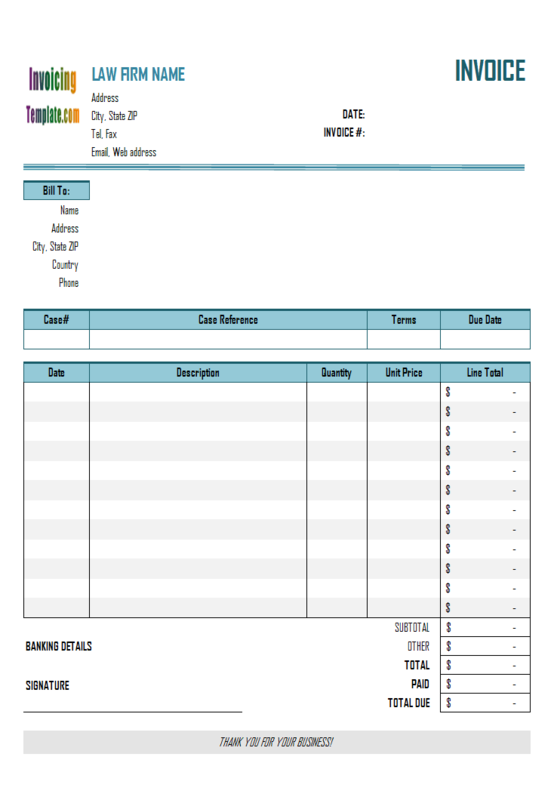 This template shows column titles "Quantity" and "Unit Price", and the "Line total" is calculated from the quantity and unit price. 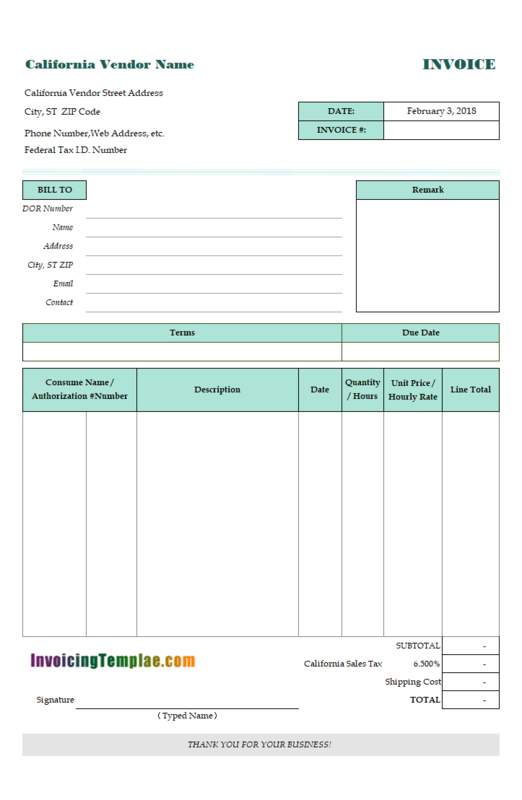 If you prefer to have a "Date" column added to the form, see our c5123 sample at Attorney Billing Template, which shows United States Dollar currency symbol on all the total cells. 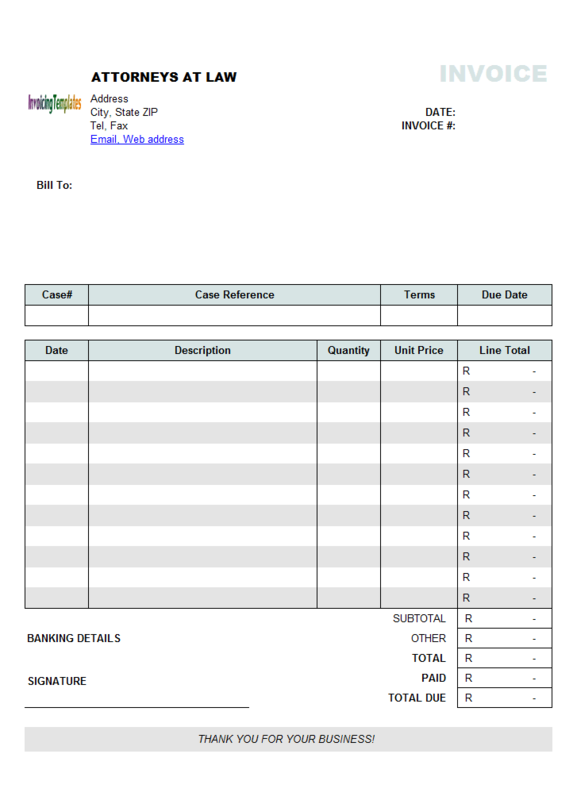 Another sample, c5067 Attorney Invoice Template (South Africa Currency), shows South Africa currency symbol. 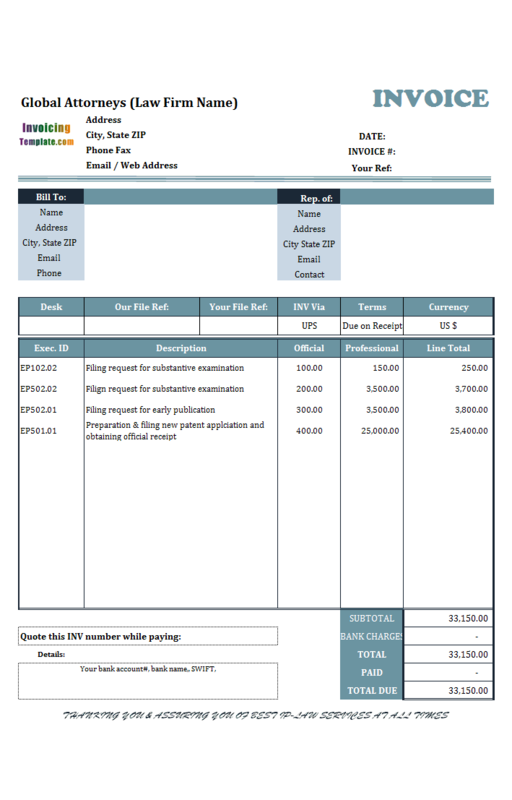 If you prefer to title the columns as "Hours" and "Hourly Rate", you can do that yourself. 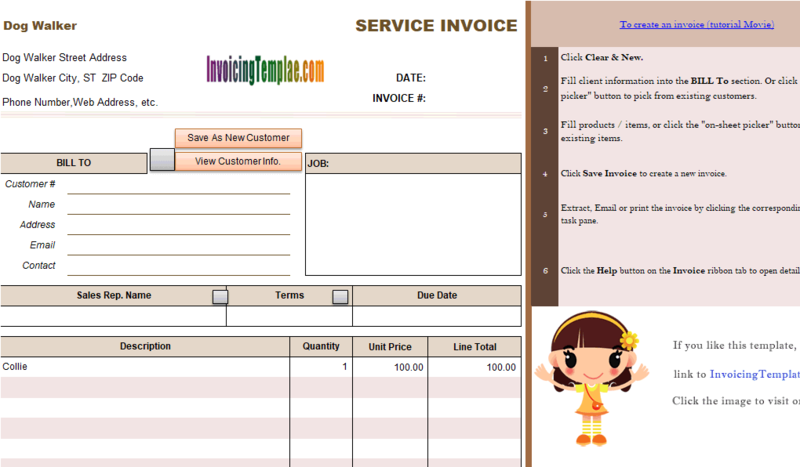 Simply switch the template into design mode, and then enter your column headings to replace the existing ones. 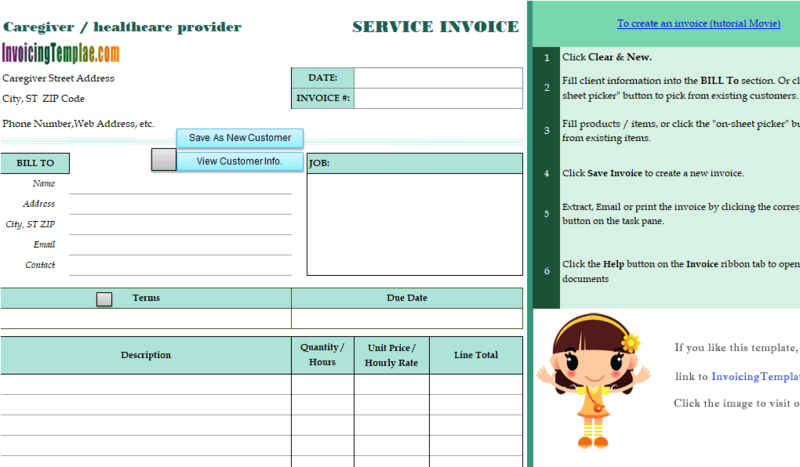 Since Invoice Manager for Excel (namely Uniform Invoice Software) maps cells and database fields via cell names, changing column headings won't break this link. 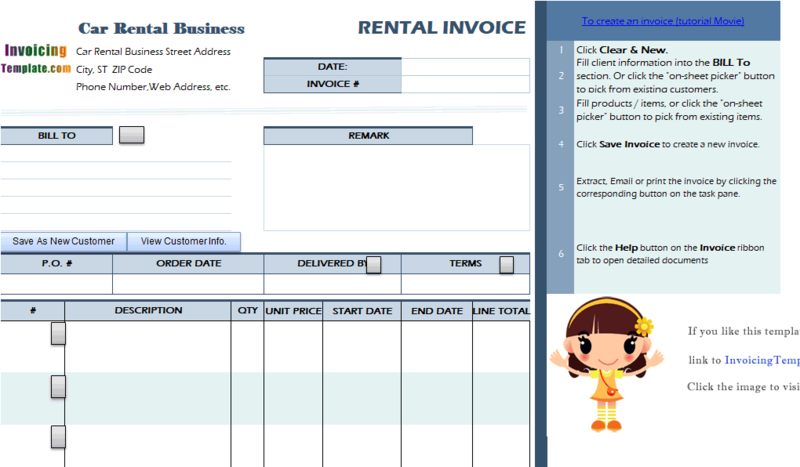 We've also created a gallery page for hourly based fees. 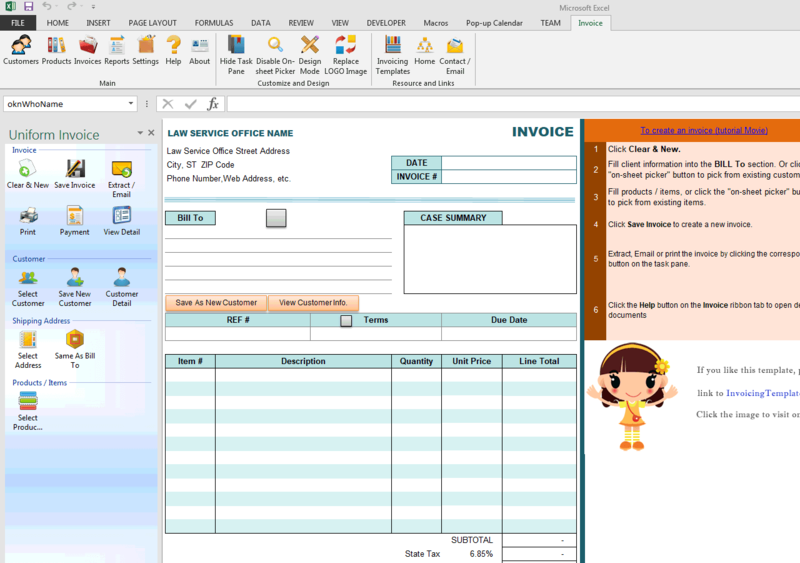 Look into the invoicing software for law firm and attorney billing excel for more samples selected for lawyers. The default State sales tax rate is set to 6.85%; and the average local tax rate is 1.13%. This meets the rate of Nevada (however, visit Nevada Sales Tax Guide for Businesses for more information). 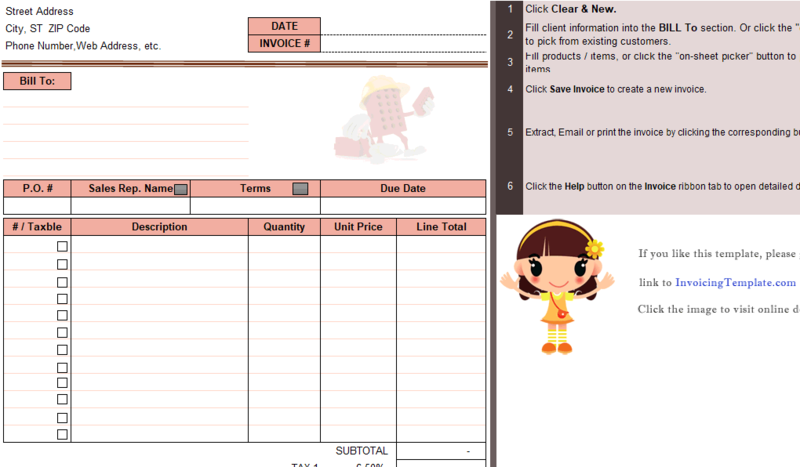 To change the tax configuration of the sheet, click "Settings", and then go to the "Taxes" tab. 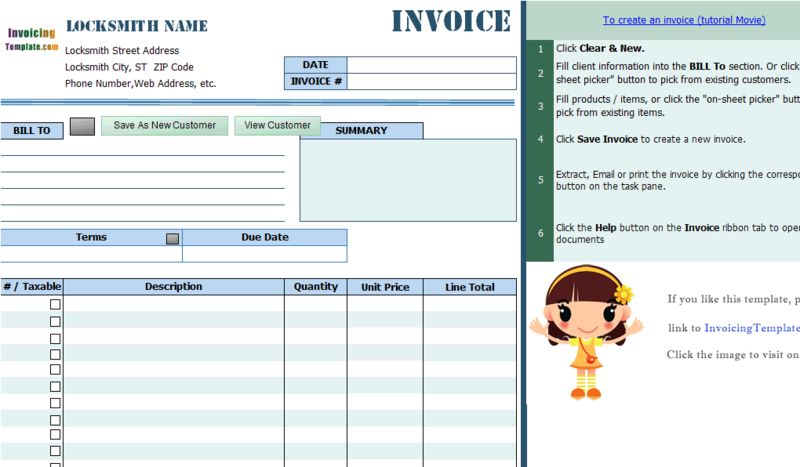 Like other form designs here on InvoicingTemplate.com, Advocate Invoice Sample is free (offered to you at a price of 0.00USD). It works on Windows XP and all newer versions of Windows, and Excel 2007, 2010, 2013 or 2016.